Sonia Ong, Reiki Master/Teacher answers our questions about Reiki. Reiki is a modality of complementary and alternative healing that deals with the human system as an energy system. Through the touch of the healer, 'Rei', the Universal Life Force, 'Ki', Energy, is channeled from the universe above through the practitioner's crown, heart and hands to the patients body. When we are out of balance emotionally, physically and spiritually, a reiki treatment can replenish or discharge the missing or overactive energy and set us back on the way to balance. Reiki should not be confused with qigong, yoga or pilates which are physically-inclined. Though it must be said, they are based similarly on the premise that the human body is not merely flesh and bones but a dynamic energy system that can be managed and balanced by conscious awareness and manipulation, in the positive sense. All are disciplines that require constant practice and dedication to achieve mastery and all work with the human energy system which includes the concept of chakras. However, unlike qigong, Reiki is learnt via the dissemination of theory and a mystical attunement process whereby the teacher 'switches' on and 'fine-tunes' one's natural ability to heal. This is like the process of 'shaktipat' as the hindus understand it, where transmission of knowledge or ability is made directly from a realised teacher by touch or presence. 2) Who is the founder of Reiki and what is the history behind it? As many schools of Reiki have sprung up over the years, this question has become a complicated one to answer. The original Reiki, Usui Reiki, was founded by Dr Mikao Usui (1865-1926), Japan. As a teacher of a Christian school, he was challenged by his students to demonstrate how Christ was able to heal the sick by laying hands. His search for the answers led to his study of Buddhist scriptures and his decision to spend 21 days meditating on Mt Kurama. The answers were revealed to him by a blinding shaft of light to his 3rd eye chakra. Subsequently, he spent 7 years doing healing work in Kyoto and in 1922, he opened a school in Tokyo where he trained many students in the Usui System of natural healing. 3) What should I look out for when I'm searching for my teacher? To be able to fully comprehend and utilize reiki to its maximum potential, you need the guidance of a teacher whose lineage can be traced back to Mikao Usui himself, who developed the processes and methods to channel and harness reiki energy. 4) What happens after an attunement? Regular and daily self-healing is expected of the dedicated Master/student to enhance the carrying capacity of energy of the healer. 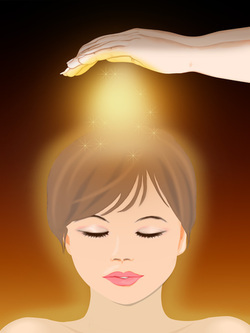 5) How does reiki come in for healing? As an adjunct to conventional medical therapy, reiki accelerates and strengthens any healing process from bruising to chronic illness to mental/emotional imbalance. It has also been scientifically proven to reduce pain caused by arthritis or cancer treatment. 6) Could you give me a short case study example of a person who has healed from reiki? I have used reiki to successfully reduce pain in clients with arthritis, spinal pain, cancer pains, stomach pains and heart pains. It has also been useful in discharging the pent up emotions of clients that become buried within their being and disturb their bodys healthy function. 7) I'm a Christian and my church says that this is wrong and of the devil. What can you say about that? Reiki has no religious affiliation whatsoever. What it is is pure unaffected energy and a reconnection of humanity to its natural birthright to heal and channel. Sonia can be consulted by email at sonia.ong@gmail.com for reiki classes and sessions. Please also visit www.madamesonja.com for rates. This interview with Sonia was first published in an early edition of Ezyhealth and subsequently posted on the internet on 2013.